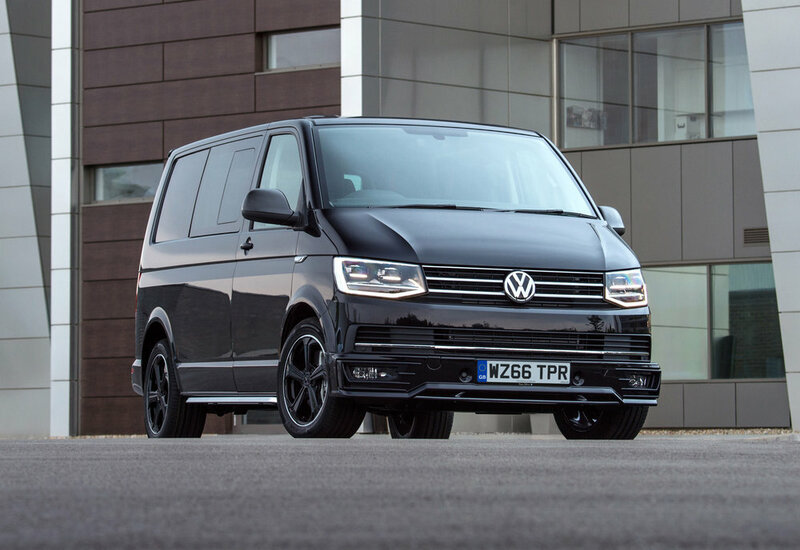 A new Sportline trim has been added to the VW Transporter range. Initially available on the T32 kombi model, it will also be offered on the panel van from early next year. Based on the specification of the kombi Highline model, the new Sportline combines sporty design features with additional equipment designed, says VW, to give 'driver and passengers an even more comfortable and engaging ride'. The kombi Sportline rides on 18-inch bi-colour alloy wheels, and comes with lowered suspension and deeper front and rear spoilers. The exterior design package also includes trapezoid styling bars with puddle lights and carbon fibre mirror caps. Inside, the Sportline features embossed leather interior trim, Climatic air conditioning, heated windscreen and Discover Media touchscreen navigation system. In addition, the first raft of kombi Sportline models also feature front parking sensors, LED headlights and tail lights, USB input and App Connect – a system that allows owners to seamlessly connect their smartphones to the infotainment system. Sportline badging and unique Sportline floormats complete the interior look. The first Transporter available in Sportline trim will be the T32 2.0 BiTDI 180PS kombi model equipped with VW’s seven-speed DSG gearbox. Available to order now from Volkswagen Van Centres, it is priced from £36,295 (OTR exc VAT). First deliveries are expected in September. Following its introduction on the T32 kombi, Volkswagen will expand the Sportline range further with panel van and additional wheelbase and transmission options available to order later this year for delivery in early 2017. These models will be available with a 2.0 BiTDI 204PS engine, along with a choice of two gearboxes – six-speed manual or seven-speed DSG – and a long-wheelbase variant.